As the south origin of the Guangshen (Guangzhou - Shenzhen) rail line, Shenzhen Railway Station is 11 miles (18 kilometers) from the North Railway Station, 5 miles (9 km) from Futian Railway Station, and 25 miles (40 kilometers) from Bao'an International Airport. The Port of Luohu connecting Hong Kong is located about 150 yards to the south of the station. Currently it serves high speed trains to Guangzhou and ordinary ones to Xi'an, Beijing, Shenyang, Shanghai, Changsha, and Nanjing. The station is made up of a three-storey terminal building and east and west two squares. Passengers arriving by bus will get off at the east or west squares of the station. For those with a ticket, please enter the station directly and go to the relevant waiting area to wait for the departure. For those without, go to the ticket office on -1F, 1F, 2F or 3F to buy one first and then read the ticket carefully to find the right waiting area. If arriving by subway, passengers will get off at -1F. The exit C and D are the nearest exits to the station. Passengers taking taxi to the station will get off at the west or east squares outside the station. Upon arrival, one can find the terminal building easily by the busy passenger flow. From North Railway Station: It takes about 35 minutes and costs around CNY60. From Bao'an International Airport: It takes 45 minutes and costs about CNY115. From Splendid China - Folk Culture Villages: It takes 35 minutes and costs approximately CNY50. From Window of the World: It takes about 30 minutes and costs around CNY55. From Happy Valley: It takes approximately 30 minutes and costs about CNY50. Before checking-in, passengers should read their tickets carefully to know exactly which check point they should go to have their tickets checked. After, follow the direction sign to the platform and get onboard. One thing to remember is that pink tickets should be handled manually, while blue ones can be checked at automatic ticket check machines. Upon arriving, all passengers will be led to the transfer hall to exit. After getting out, follow the direction boards to find bus, subway or taxi to leave the station. Subway entrance for Line 1 (Luobao Line) is located on -1F. Bus stops are available on both east and west squares. But different buses depart from different points; one should know which bus route to take first, then head to the specific location to take it. Passengers needing to take taxis can also go to the east or west squares. Taxi stands are available at both of them. Adjacent to Luohu Port and Shenzhen Railway Station, Luohu Coach Station is located on the first and second floors of Luohu Commercial City and to the exit A of Luohu Subway Station. Long-distance buses from the station go to cities in the Pearl River Delta, Chaoshan, Macau, as well as other cities in Guangdong Province. Qiaoshe Coach Station is located on the west square of the railway station. The station mainly operates long-distances buses to major cities in Guangxi, Fujian and Guangdong Provinces. It is also convenient from here to reach Hongkong, Macau. Take Subway Line 1 to Hua Qiao Cheng, get out from exit D, and then walk to the village. Take Subway Line 1 to Window of the World Station. Get out from H1 and walk to the destination. Take subway line 1 to Conference and Exhibition Center station, and then change to subway Line 4 (Longhua Line) to the north station. Take subway line 1 to Gou Wu Gong Yuan,getting out from Exit D and then walk about 700 yards northward to the station. Take subway line 1 to Laojie first and then change to line 5 to get there. 1. Take Subway Line 1 to Hourui station, and then change to M416 to the airport. 2. Take Airport Shuttle Bus line 1 (330) at the station West Square and get off at the Airport New Terminal Building. It usually takes an hour on the way and the ticket fare is CNY20. The bus is available from 06:00 to 21:00 with an interval of 10 – 15 minutes. To Hong Kong: When getting out from the station, passengers can walk to Luohu Port. After handling relevant customs procedures, they will reach Hong Kong, where Hong Kong MTR East Rail Line is available. Take a coach from Luohu Coach Station to Zhuhai Qiguan Coach Station. The bus is reachable from 07:20 to 20:00 every 40 minutes. The whole journey takes about 3 hours and the ticket fare is about CNY100. Upon arrival, walk to Gongbei Port for customs procedures, then one will be in Macau. Or take subway line 1 to Window of the World, then change to line 2 to Shekou Harbor; it takes about an hour and CNY 7. Upon arrival, walk to Shekou Port to take a ship to Macau; the ships to Taipa Ferry Terminal are scheduled at 09:30, 11:00, 12:15, 14:00, 16:00, 17:00, 19:00 and 21:00; those to Macau Ferry Terminal are scheduled at 09:45, 10:15, 12:00, 13:15, 15:15, 16:00, 17:00, 18:00, 19:00, 20:00 and 20:45. The ship ride takes about an hour and ticket fare is CNY 200 for a regular class and CNY 300 for VIP class. Five ticket offices including a supplementary ticket office are provided in the station for passengers' convenience. The first one is located at the northeast corner of 3F; the second is at the west side of 2F; the third one for passengers to Guangzhou is at the east side of 1F and the fourth one is at the north side of -1F. The supplementary ticket office can be found at the west side of 1F. Two waiting areas are available in the station. The first one is located on the third floor and it is the waiting area for long-distance passengers. It provides convenient services including mobile phone recharging, newspapers and books for passengers' convenience. There are special waiting rooms for soft seat ticket holders, soldiers and babies and mothers on this floor. The second one is on 1F and it is mainly designed for passengers along Guangzhou-Shenzhen High Speed Rail Line. Toilets, drinking water and restaurants are all easily accessible in the waiting areas. Left luggage room is located in the waiting area of 3F. It usually charges CNY 20 – 30 per day according to the size of the luggage. Both outside and inside the station, there are big LED screens that offer detailed information about trains, such as departure time, and waiting rooms numbers. Inquiry service is on 2F and 1F for passengers' convenience. They are called Passenger Information Center in the station. If passengers have doubts or problems, they can go there to seek advice or help. In addition, other services including hotel reservation and luggage consignment are provided on the first floor. Is therw a bullet train from Hong Kong to Shenzhen .Luoho district? No, they all stop at Futian Station or the North Station, not in Luohu district. 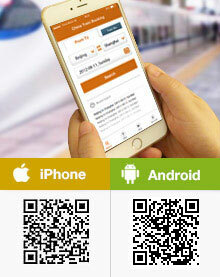 Can I pick up my tickets purchased online (HK to Guangzhou & Guangzhou to Guilin) from Lo Wu train station? Or even the new Kowloon West train station? For the HK to GZ one, you need to do it at West Kowloon Station. For the Guangzhou to Guilin one, you need to collect it in mainland. You can also do it at West Kowloon Station for the second one, but there will be extra service fee charged. Thanks Hilliard. I ended up picking everything up at West Kowloon Station. The inter-China tickets had a 10% fee as I wasn't picking them up in China. I plan to stay at the hotel near beijing street at guangzhou. which train station should I get off in Guangzhou from Shenzhen railway station? Beijing Street area should be closer to Guangzhou Railway Station, you may use subway line 2 for transfer. There are many high speed C rides a day from SZ to GZ. You can try to buy the ticket on spot if you are not tight in schedule since there are many rides a day. No hubei station, Hubei is a provice, not a city. You need to know which city you want to visit firstly. I googled it, and found the website where people can estimate their journey cost. And in the website, they have hubei station, its about 200+ metre to Dong Men Pedestrian Street. it is a subway station. If you take subway from Hebei, you can line 2 to Futian first and then change to line 11 there to reach the airport. The duration maybe around 1 hour. On Google Maps it looks as though the railway station is on the Hong Kong side of the border. Is the station in China or HK ? Thank you. The station is in China mainland, close to HK.